Sunday bakes is back!! I apologise for the lack of yummy weekend treats of late. 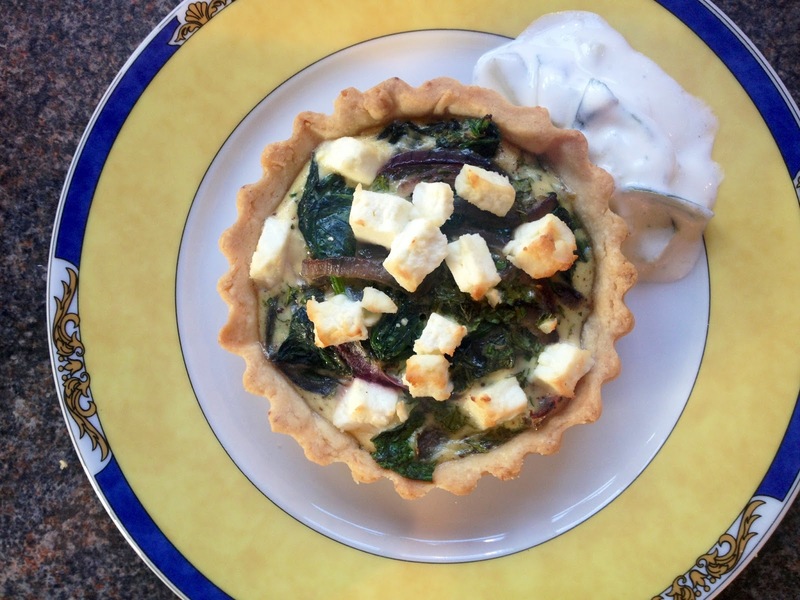 I don’t quite know how but the last few months have been a whirlwind and I’ve been so busy which hasn’t left much time for baking, but don’t panic I am back in the kitchen and back in the game with a great recipe for National Vegetarian Week. For a little while now I’ve been on the hunt for a particular shape of pie dish which was proving rather elusive, however last weekend I finally found one! Hurrah!.. In Sainsbury’s, for a fiver. So expect some pies to come up on here soon! While I was there I bought some mini tart tins because they were cute and thinking about it, actually quite versatile. I took the opportunity to give them their first outing when doing my Mum’s birthday dinner. 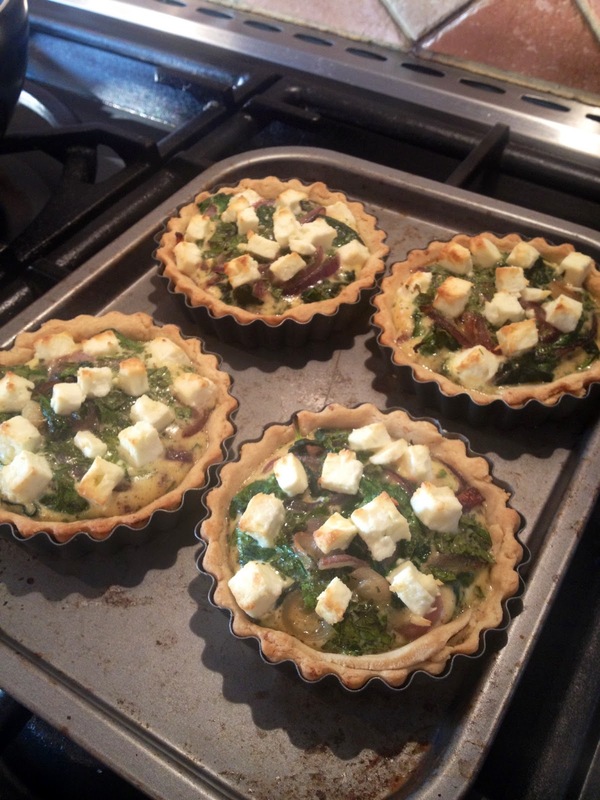 I decided to make some sort of savoury tart for the starter, so I just had to decide what to fill them with. 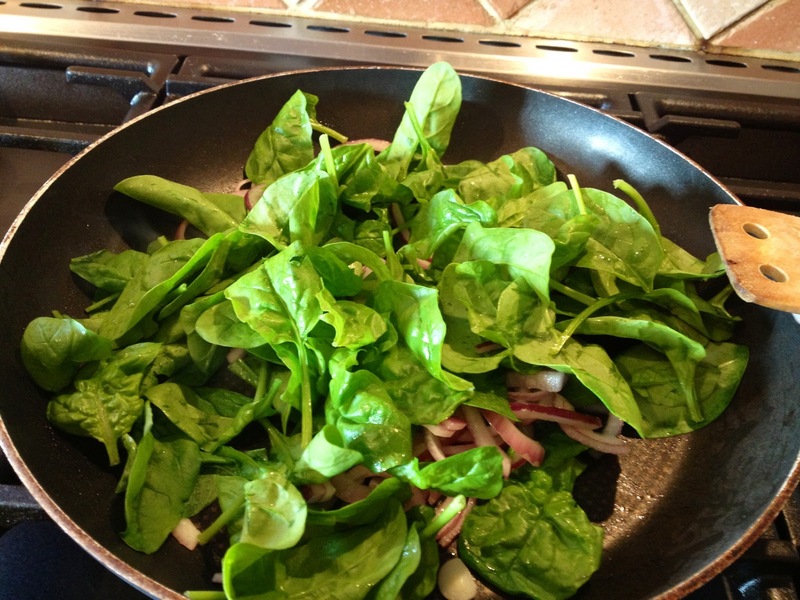 After mulling over a few ideas I opted in the end for spinach and feta as it’s a combo I’ve used many times, is delicious and has never failed me. 1. 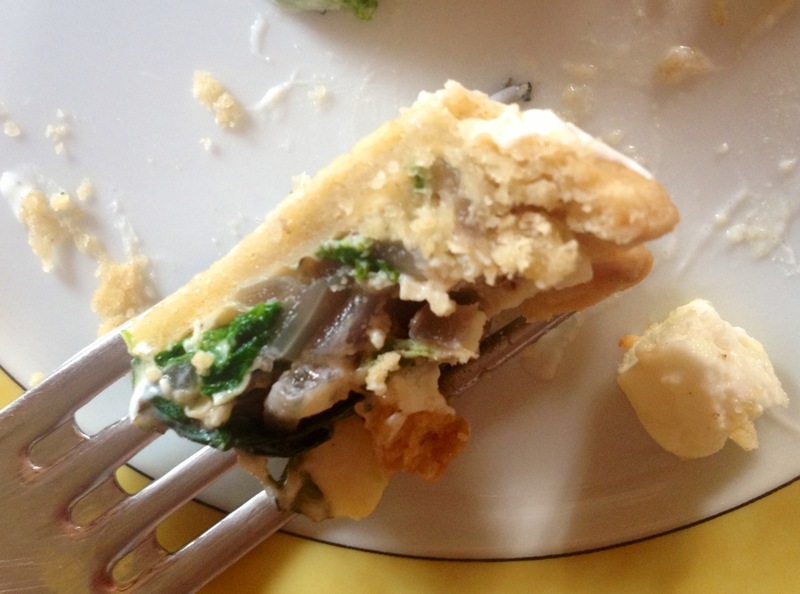 Follow instructions for the pastry from the Mushroom, Pepper and Blue Cheese Tart recipe, just substitute the walnuts for pine nuts. This is a really quick and easy way to make pastry, but if you’d rather use the ready rolled stuff, just roll it out and follow the same cooking instructions. 2. Once your pastry cases are cooling, lower the oven temperature to 180°C. 3. 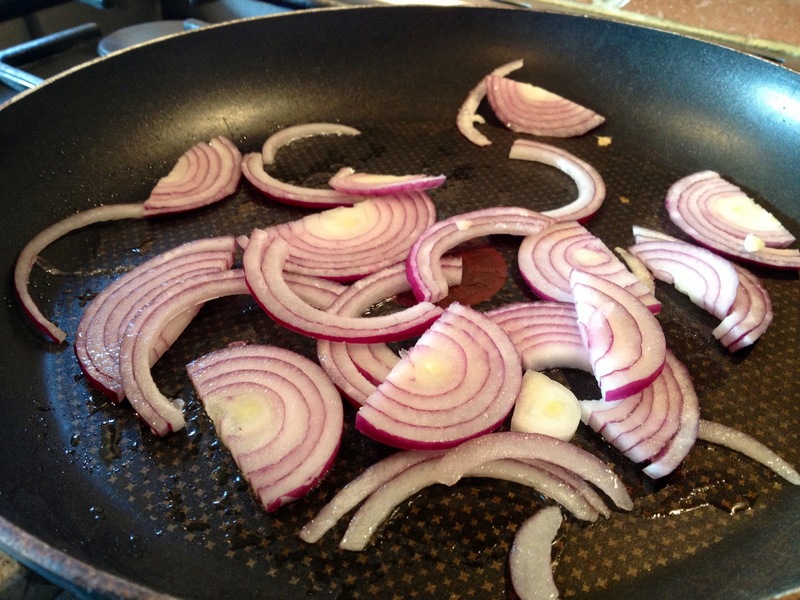 On a medium-high heat gently fry the onions until they start to soften. 4. 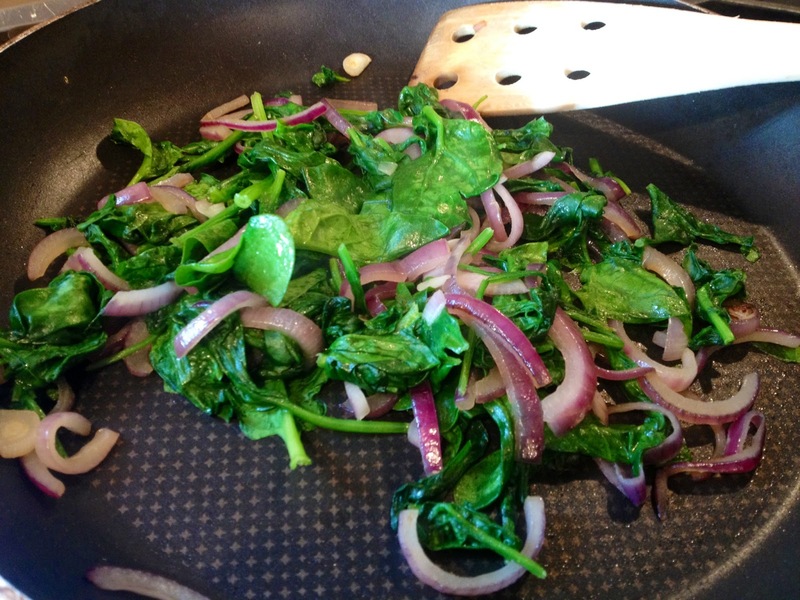 When the the onions have begun to soften, throw in the spinach and allow to wilt. Turn of the heat and set aside. 5. Mix the cream, egg, cinnamon, nutmeg, mint and season generously with salt and pepper. 6. 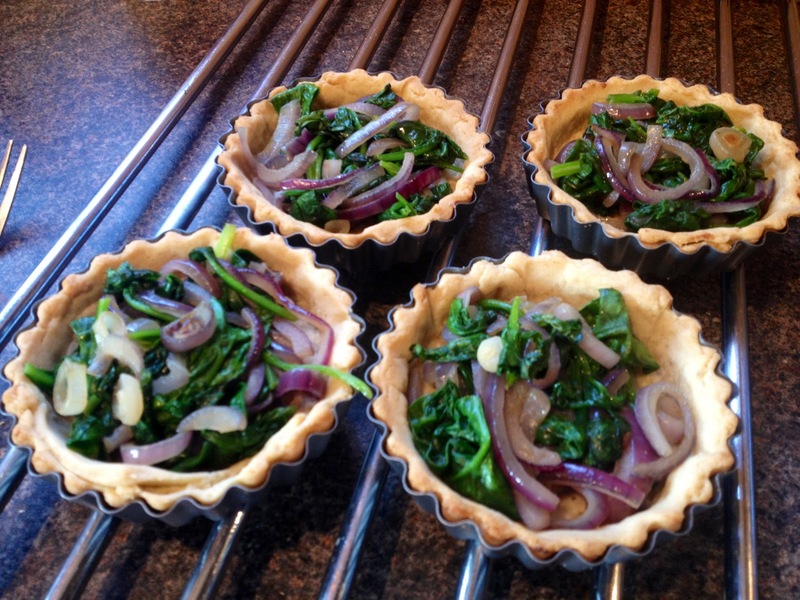 Fill the pastry cases with the cooked spinach and onions. 7. 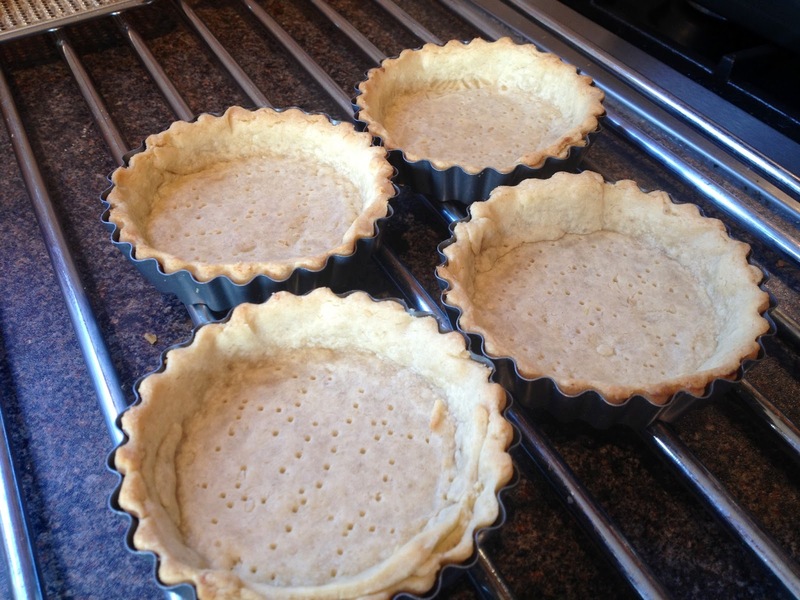 Pour over the cream and egg mixture filling the tart cases. Sprinkle over the feta. 8. Bake in the oven for approximately 20 mins. 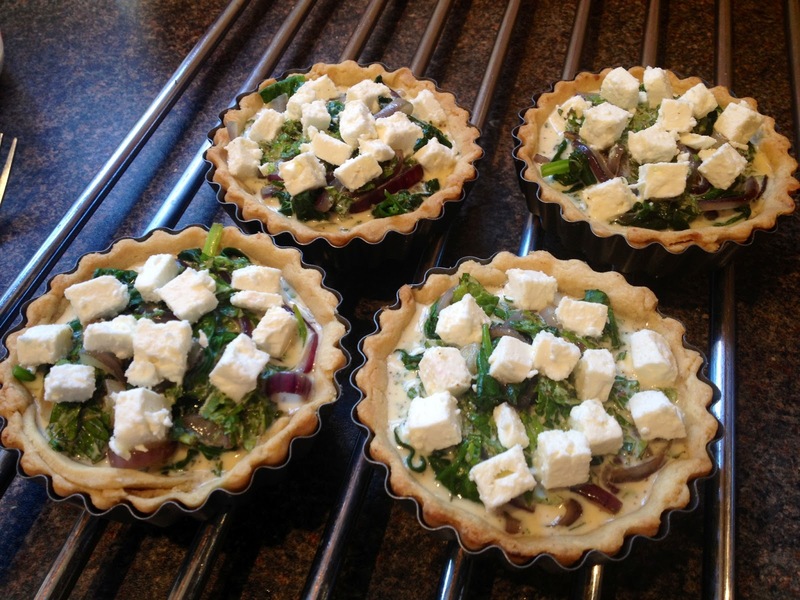 Keep an eye on them and remove when the creamy mixture is set and the tarts look golden. 9. Leave to cool before removing from the tins. 10. Serve warm with a dollop of tzatziki (see recipe here) or leave to cool completely and place in the fridge to serve later. These can easily be made ahead of time, refrigerated and warmed through in the oven before serving.